But is there really a housing crisis? Or at least a crisis caused by a shortage of housing? Surely if this were the case migrants, both economic and genuine refugees, would not be allowed to enter the country as presumably, there would be nowhere for them to live. In 2015, 30,000 migrants were given social housing and around 9,000 servicemen currently sleep rough after leaving the military. The real crisis is working British people cannot afford to buy a home of their own, due to a combination of low wages and house price inflation stoked by government policies such as ultra -low interest rates and Help to Buy. Insufficient homes to rent or so-called affordable homes making an already bad situation worse. But is building prefabs a solution? Has the Government forgotten the nightmare suffered by buyers at Taylor Wimpey’s Oxley Woods development in Milton Keynes? These pre-fabricated properties built in 2007 for just £60,000 each, which they claimed could be knocked-up in 24 hours. 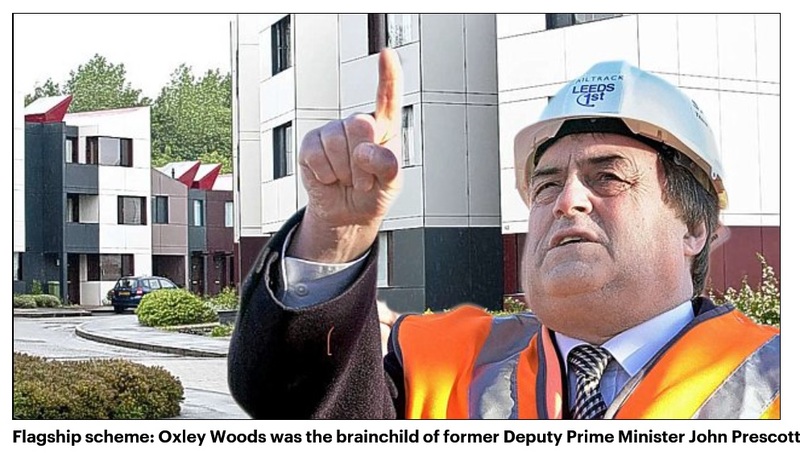 The site at Oxley Woods was the then Deputy Prime Minister John Prescott’s flagship scheme to develop low-cost, energy-efficient homes. But as reported in the Daily Mail in 2014, a secret leaked report stated that “wooden supporting structures of some of the homes, from scheme developer Taylor Wimpey, are saturated.” It also found examples of ‘poor workmanship and practice’ in laying part of the roof. Seven years later this modern day, pre-fabricated, system-built new housing, has been shown to be as bad if not worse, than the traditional new homes that have been built for many years. Some of these prefabs may even be irreparable requiring demolition. Before this was Ronan Point, part of the wave of tower blocks built in the 1960s as cheap, affordable prefabricated housing for inhabitants in West Ham and other areas of London. 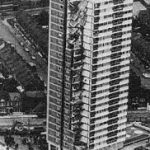 The tower was built by Taylor Woodrow Anglian, using a technique known as Large Panel System building (LPS), which involves casting large concrete prefabricated sections off-site and bolting them together to construct the building. 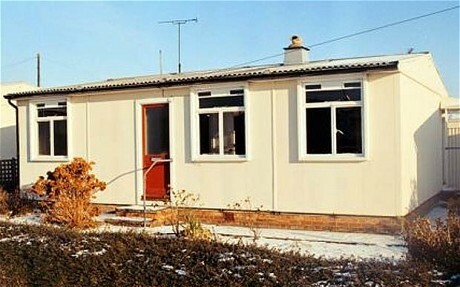 Despite this, Britain is to get a new wave of prefabs as the government plans to offer help to build 100,000 factory-made homes. Industry buzzwords like Modern Methods of Construction [MMC] and “modular homes” are being used to describe the new generation of prefabs, aimed at young first-time buyers to “help them on to the housing ladder.” These prefabs should be allocated to migrants and non-working Britons. It is patently unfair that young working British people are expected to take on a mortgage (if they can get one!) to pay for a sub-standard, prefab kit new “home” while non-workers on housing benefit are able to live in traditionally-built houses. It is easy for ministers to be misguided into thinking, after visiting these new home factories, that modern day prefabs will be of ‘good quality’. They won’t be built to the exacting standards of German made and constructed Huf-Haus new homes that’s for sure! Even a “Wee House” can take 8 weeks to build! Whilst the issue regarding the dire quality of new homes that are currently being built, along with the implementation of additional measures to protect new homebuyers is ignored, such as the DCLG setting up a New Homes Ombudsman, this headline-grabbing Government plans to publish a white paper next month, that will include measures to encourage banks to lend to small firms that build houses off-site, which are then delivered to a final destination. Ministers have apparently, taken a “huge interest” in 21st-century prefabs after being impressed that some were erected on site in just 48 hours. However, these homes were not fully 100% complete. Ministers would do well to recognise, there is no shortcut to quality housing! The Telegraph reported that Accord Group, a housing association in the West Midlands, can produce a three-bedroom house from scratch in a day in its factory and has been visited by government figures. But claims by Accord Group of two homes “put up in one day” are misleading. The film below shows the assembly of little more than a timber frame kit, of the type that large housebuilders have been using for over 30 years, yet still appear incapable of constructing them to the required standards. Furthermore, foundations, substructure, drainage and ground floor and scaffolding were all completed before the “one day” started. 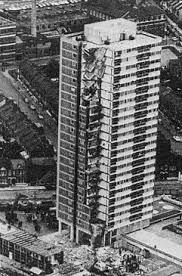 In addition safety on site appears to be being compromised in the ‘rush to complete’ as there is no fall arrest system in place when the first floor ‘cassettes’ were lifted into position. Of course the likes of Gavin Barwell and Sajid Javid will not know any of this, anymore than they realise that there will be more delays connecting gas, water and electrical services and the time it takes to construct road infrastructure on developments. If Barwell is serious, he would do well to fund the building of council houses for working families at affordable rents. To be built by local building contractors on fixed-price, fixed-term contracts, rather than yet more subsidised headline grabbing policies, which will have little impact on this failing industry. The government has also indicated it wants a wider range of firms building homes. Gavin Barwell told Building last week that Theresa May is “very keen” to see a wider range of organisations building new homes in the UK. So not only will we have 100,000 prefabs but they could be thrown up by organisations, that have little or no building experience too! This entry was posted in New Homes and tagged house builders, Prefab, standards. Bookmark the permalink. Thw mobile home park industry have been manufacturing modular housing units for over 50 years. It is about time the Government wakes up and recognises this form of housing. This is not a solution to providing British people with decent homes to live in. “Park Homes”, whilst better than nothing, are not permanent homes and most will find getting a loan to buy one and other prefabs, virtually impossible.